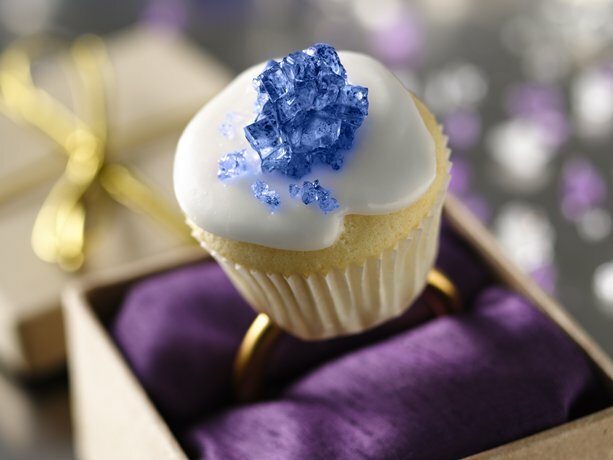 It's a royal engagement ring mini cupcake! Isn't it adorable? The blue rock candy gives a nod to Kate's stunning sapphire ring. These cupcakes would be the perfect addition to your event! Spotted over at Candy and Cake, this recipe and idea was originally posted on Betty Crocker.